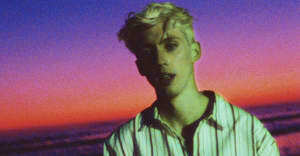 The track will feature on Sivan’s forthcoming Bloom. Troye Sivan will share new single "Dance To This" featuring Ariana Grande on Wednesday. The singer announced the June 13 drop via social media on Sunday. The track will appear on Sivan's forthcoming album Bloom and follows the recent singles "My My My," "The Good Side," and "Bloom. Grande also has a new album out this summer. Her Sweetener will feature the hit single "No Tears Left To Cry" plus a collaboration with Nicki Minaj. She recently spoke to The FADER about the album as part of a cover story you can read here.